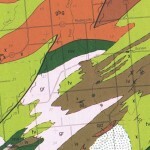 Detail from Sauk County geologic map (Clayton and Attig, 1990). 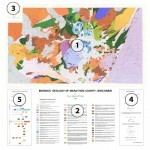 Unlike your basic road map which focuses on the locations of roads and cities, geologic maps provide information about the rocks that are on or near the earth’s surface. To the trained eye, these maps help to explain the series of geologic events that led to the present-day distribution of rocks and other earth materials. This section deconstructs a geologic map, identifying commonly found elements. 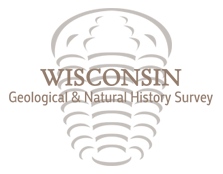 It also explains how to interpret a map, how maps are made, and shows some of the types of maps available. 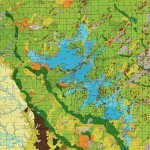 Geologic maps provide a valuable source of information for geologists, engineers, planners, the mineral and construction industries, county and local units of government, and land owners who may be concerned with mineral resources, water supply, construction siting, utility routing, waste disposal, and other issues. 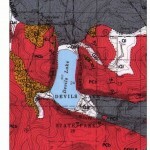 How are geologic maps made?